For the past three decades, Mastering Engineers have been arguing the pros and cons of loudness mastering. 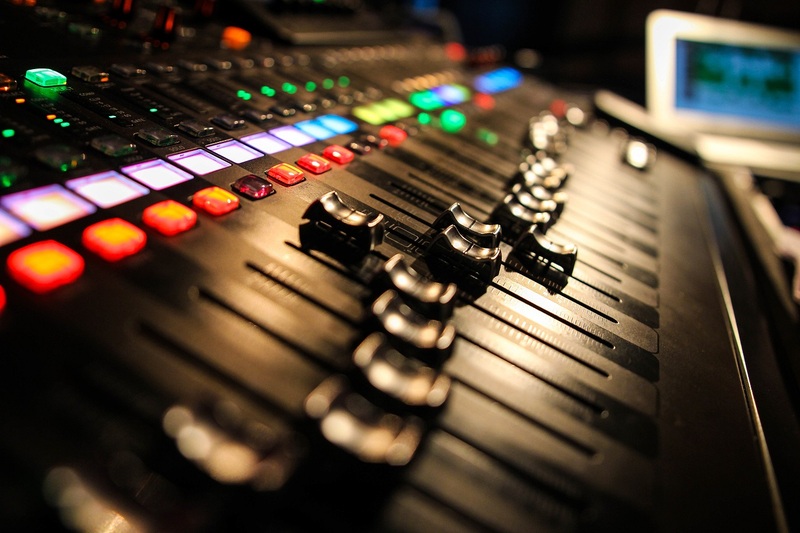 In this article, we're going to take a look at what exactly is The Loudness War, and how we can win. The term "Loudness Wars" refers to the trend of increasing volume levels in recorded music starting in the late 1980's. If you take a look at the picture below, you can see how the song "Black Or White" by Michael Jackson has had it's overall volume increased throughout the years. When The Audio CD was introduced it brought with it a clearly defined Maximum Peak Amplitude. However, It did not take long for Mastering Engineers to discover that once reaching this level, they could further increase their loudness by applying Dynamic Compression and EQ, to bring more of the song's peaks to this level and making it appear louder. Soon Engineers were competing to create the loudest sounding tracks and The Loudness Wars had begun. If we look again at our picture of "Black Or White" We can see this in practice. As we move down the timeline, we can visually see the distance between peaks diminishing until the last photo where you see just a wall of sound. This kind of Waveform shape is a signature of Loudness Mastering. While this process does make the song seem louder, it often pushes levels to the point of "clipping" (reaching a level above 0 dB) and can often result in distortion and lower audio quality. A great example of this happened in 2008 with Metallica's "Death Magnetic" Album. The levels were pushed so hard on this album, that fans and other music professionals began complaining about the level of distortion that was present in the audio. "I'm certainly sympathetic to your reaction, I get to slam my head against that brick wall every day. In this case, the mixes were already brick-walled before they arrived at my place. Suffice to say I would never be pushed to overdrive things as far as they are here. Believe me, I'm not proud to be associated with this one, and we can only hope that some good will come from this in some form of backlash against volume above all else." If loudness mastering techniques create distortion and lower audio quality, why are they still used today? It seems that the music industry has not changed its practices because they are operating under the assumption that this is what the listeners want, even though that may not actually be true. For example, In 2008 Mastering Engineer Bob Ludwig brought three different versions of the album "Chinese Democracy" to Guns N Roses, to see what type of mastering techniques they would prefer. To his surprise, they picked the version with the least amount of compression and full dynamic range. 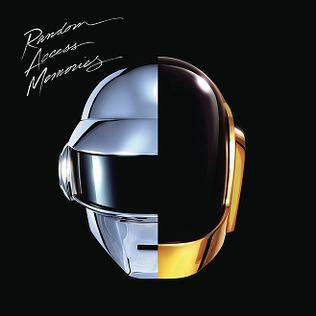 Again, in 2013 Daft Punk released their album "Random Access Memories". Mixing Engineer Mick Guzauski used very little compression on this album and focused on preserving the dynamic range and sound quality of the album. If The Loudness Wars are destroying our Audio Quality, what can we do to fix it? That's where Platinum Notes comes in. 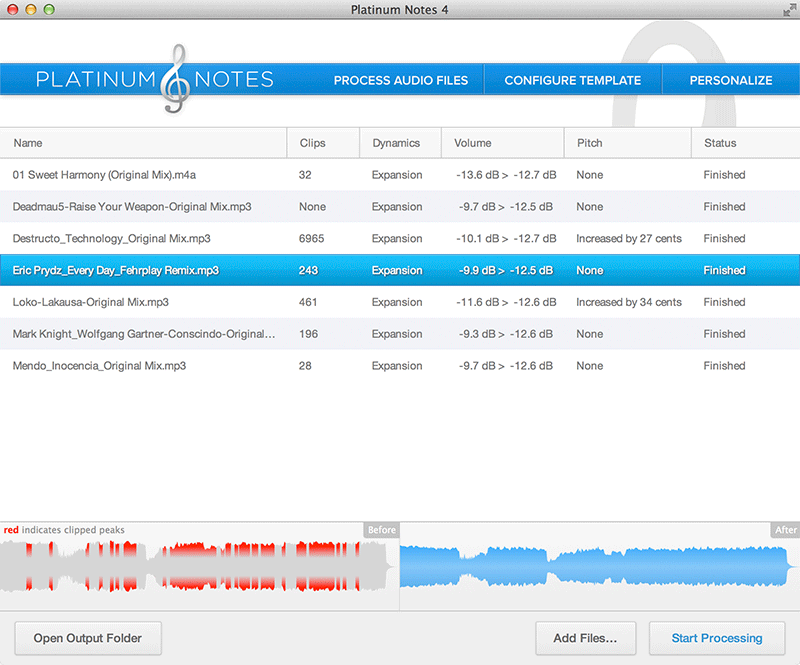 Platinum Notes is able to analyze your music files and detect a number of clipped peaks that are in your songs. It then goes to work restoring dynamic range to your tracks while reducing the number of clipped peaks and raising your audio quality. Platinum Notes is also designed to bring all your tracks to an equal volume level. This brings your tracks to the perfect level for large sound systems, while also allowing you to keep your hands of the gain knob, so you can use them for some creative DJing. When The loudness wars try to make you a victim, Mixed In Key and Platinum Notes has your back. What side of the war do you sit on? Are you Team Sausage Waveform, or Team Dynamic Range? Hit the like and share buttons below and let us know!